This week we finish the proof of the title’s contention that we started last week. Since this is mid-stream, be sure to review last week first. …Further. Every agent that requires prejacent matter in acting, has a matter proportionate to its action, so that whatever is in the potency of the agent, is all in the potentiality of the matter: otherwise it could not bring into act all that are in its active power, and thus would have that power, with regard to such things, to no purpose. Now matter has no such proportion to God. For matter is not in potentiality to any particular quantity, as the Philosopher declares (3 Phys. ): whereas the divine power is simply infinite, as we proved in the First Book. Therefore God requires no prejacent matter as necessary for His action. Notes A reminder that it takes infinite power to create matter/energy out of nothing. A second reminder that Infinity is the most foreign of foreign countries. Again. Of different things there are different matters: for the matter of spiritual things is not the same as that of corporeal things, nor that of heavenly bodies the same as that of corruptible bodies. This is evident from the fact that receptivity which is a property of matter is not of the same kind in the aforesaid: for receptivity in spiritual things is intelligible, thus the intellect receives the species of intelligible objects, but not according to their material being: while heavenly bodies receive newness of situation, but not newness of being, as lower bodies do. Therefore there is not one matter that is in potentiality to universal being. But God’s activity regards all being universally. Therefore no matter corresponds proportionately to Him. Therefore He requires not matter of necessity. Notes Buried in this is the idea that our intellects are not material, which means we are not (just) our brains. Moreover. Wherever in the universe certain things are in mutual proportion and order, one of them must proceed from the other, or both from some one: for order must be founded in one by its corresponding with another; else order or proportion would be the result of chance, which is inadmissible in the first principles of things, because it would follow yet more that all else are from chance. If, then, there be any matter proportionate to the divine action, it follows that either the one is from the other, or both from a third. But since God is the first being and the first cause, He cannot be the effect of matter, nor can He be from any third cause. Therefore it follows that if there be matter proportionate to God’s action, He is the cause thereof. Notes Plus, chance is not actual so it can never actualize a potential! Hence it can never be a cause. In Book One Aquinas discussed Aristotle’s meaning of “caused by chance“, which is entirely epistemological. Again. That which is the first of beings, must needs be the cause of the things that are: for if they were not caused they would not be set in order thereby, as we have already proved. Now between act and potentiality there is this order, that, although in the one and same thing which is sometimes in potentiality and sometimes in act, potentiality precedes act in point of time, whereas act precedes by nature; nevertheless, speaking simply, act must needs precede potentiality, which is evidenced by the fact that potentiality is not reduced to act save by a being in act. But matter is a being in potentiality. Therefore God Who is pure act must needs be simply prior to matter, and consequently the cause thereof. Therefore matter is not necessarily presupposed for His action. Notes If you have this paragraph, you have it all—or most, anyway. Since all matter/energy is in potential, something purely actual must have come before it! And there we are. If you’re not recalling the difference between potential and act, review! Again. Primary matter is in some way, for it is a being in potentiality. Now God is the cause of all things that are, as we have proved. Therefore God is the cause of primary matter: to which nothing is pre-existent. Therefore the divine action needs no pre-existing nature. Notes Recall “prime matter” is matter/energy not yet married to form; all the matter/energy we see has some form. Divine Scripture confirms this truth, saving (Gen. i. 1): In the beginning God created heaven and earth. For to create is nothing else than to bring something into being without prejacent matter. Hereby is refuted the error of the ancient philosophers who asserted that matter has no cause whatever, because they observed that in the actions of particular agents something is always prejacent to action: whence they drew the opinion common to all that from nothing naught is made. This is true in particular agents. But they had not yet arrived at the knowledge of the universal agent, which is the active cause of all being, and of necessity presupposes nothing for His action. Notes So we have not only The Beginning, but the beginning of science. If prime matter is matter without form, then there is no such thing as prime matter, because all matter has some kind of form. The electron is an electron because of its specific properties, the photon is a photon because of its properties, and you can make a photon of of an electron and a positron, turning two different forms into another completely different form. Secondly, change. Take an atom in an excited state. The atom will fall back to its lowest energy state by sending out a photon. That fall back can be caused by the atom bumping into a different atom, or by a passing photon with just the right amount of enery. Or spontaneously. The first two possibilities have known causes. It is either the other atom, or the passing photon. The third one is spontaneous, by change, it is uncaused, in current theories. The notion that the cause was the event that put the atom in the exited state doesn’t work, because then then the bumping atom or the passing photon would not be a cause either, because without them, the exited atom would fall back to the ground state anyway. That that fall back happened just as the other atom bumped or the photon passed would be coincidence. But if bumping atoms and passing photons are not causing state changes (turning potentialities into act) then everything that happens is then coincidence, and there is no cause-and-effect at that level at all. So you need to either propose another state-changing agent at the atomic level, or accept uncaused effects at that level. I think Anscombe dealt with this problem over 30 years ago. All you can really say about the third possibility is that current theories cannot explain it, not that it is uncaused. That woul be G.E.M. Anscombe, Causality and Determination? My argument is that the theory says it is uncaused. The theory could be wrong, of course. But a theory about particles causing state transitions not mentioning a specific particle causing a specific state transition, and instead calling that state transition ‘by change’, does not have that extra particle. And instead, assumes that that particular state transition is by change, which is uncaused in this case. No, all secondary matter has some kind of form, but prime matter (pure potentiality) is necessary for secondary matter. To clarify (hopefully) this somewhat cryptic sentence, matter, as correlative of form, being necessary to account for change, prime matter is necessary to account for substantial change; that is the heart of the matter (no pun intended). If prime matter is matter without form, then there is no such thing as prime matter, because all matter has some kind of form. The medieval maxim was “Every thing is some thing.” That is, every substance (“thing”) is some particular kind of thing, that is, some form of thing. But given that matter is the principle of permanence through change, it must have the potency to be any kind of thing, if properly informed. It is pure potency. So it does not have actual existence. IOW, your objection is simply a straightforward observation thousands of years old. The notion that the cause was the event that put the atom in the exited state doesn’t work, because then then the bumping atom or the passing photon would not be a cause either, because without them, the exited atom would fall back to the ground state anyway. You are asserting that if P->Q, then nothing else can cause Q? That doesn’t seem right. The exited electron is governed by the form of the atom. It cannot persist in the higher shell unless the atom ceases to be itself, perhaps by emitting the errant electron in an act of radioactive decay or perhaps because the original impetus imparted to the electron has been exhausted and it reverts to its rest state. Given that we don’t even know if electrons have real objective existence — cf. Heisenberg — it may be premature to draw too many conclusions for the present. Matter can become other kinds of matter, but all of these matters are actual. The matter is an electron-positron pair, and then the matter is a gamma ray photon. there is no in-between state when it is not actual at all. Even if electrons do not exist, there is still this theory describing reality using electrons to explain and predict certain well-known behaviours of reality And that theory doesn’t need a cause for all events. So, either there is a true scientific theory that needs no causes, or there is a better scientific theory with a cause for the event that is now interpreted as uncaused. Matter can become other kinds of matter, but all of these matters are actual. Surely. This is the basic principle of hylomorphism. But I had thought this to be rejected by Late Moderns. The matter is an electron-positron pair, and then the matter is a gamma ray photon. there is no in-between state when it is not actual at all. Having fellas like YOS and yourself around makes me a little lazy. You could just see the direction this whole “the universe is just a thought in God’s mind” sorta argument. Next thing ya’ know, we see all sorts of speculation on matter, metaphysics, flights of fancy. Why things seem to be what they seem to be we do not know, yet. We certainly didn’t know any more on the subject hundreds of years ago. 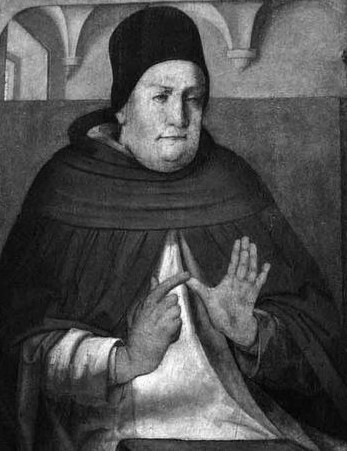 Aquinas just like creating these endless regression arguments that he would just punctuate as he pleased. Swallowing camels and straining at gnats. Still, what else are we to do? Eat pizza! It only seems real but then, that is true of thee and me. Laozi claimed that being comes from not being or “nothing.” Chinese scholars have studied extensively on what Laozi’s “nothing-ness” means… assuming that he knew nothing about modern science or physics. Interesting concepts but hard to achieve consensus. None of that “proof” proves God did it. @Slywolfe: You are late to the game. Our host has already burned through a long series of theorems before now. Yes. That is the unassailable point of view. it’s not a proof, it’s the only rational explanation. Proof only exists in pure mathematics. Most things referred to as proof are evidence.